HÀ NỘI — Deputy Prime Minister Vương Đình Huệ asked members of the National Financial and Monetary Policy Advisory Council to view science-technology as a ‘driver of growth’ rather than just an academic subject in its policy development process. 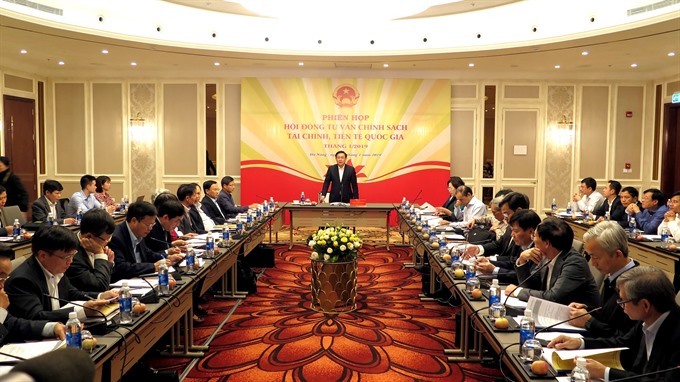 Deputy PM Huệ, who served as the advisory council’s chair, made the request at the first quarter meeting held on Saturday. He asked the council’s members and scientists to “contribute their knowledge” to the Government’s building of socio-economic development strategy over the next 10 years. At the meeting, he thanked the council for their feedback and ideas provided to the Government and the Prime Minister, which contributed to the economy’s impressive achievements in 2018 when all 12 targets were met which helped GDP record the highest level in 11 years. Following the council’s advice, the Government is actively building legal frameworks for the digital economy, sharing economy, intermediate payments and peer-to-peer lending to curb loan sharks, Huệ said. The council members appreciated the Government’s leadership in socio-economic development over the last year, especially with its microeconomic policies and close coordination between agencies along with flexible but concerted monetary policies. Hoping that 2019 would continue to be a good year for the country’s economy, the council warned that Việt Nam would still need to pay close attention to the risks brought about by the global economy, especially trade tensions, fluctuations in the stock market, and more relaxed monetary policies by central banks that could lead to higher interests. Slow-paced equitisation of State-owned businesses and delays in the implementation of major projects, improvements in the business environment outmatched by practical demands and constrained budget funding are seen as “internal bottlenecks” that would greatly impact the country’s economy. The council asked the Government to continue to consolidate macroeconomic and microeconomic well-being, creating a ‘buffer zone’ that could absorb external impacts, not only for the entire economy but also enterprises and financial institutions. Strict overseeing of the overspending, foreign debts and reforms to State budget expenditure-collection at local levels are also urged.